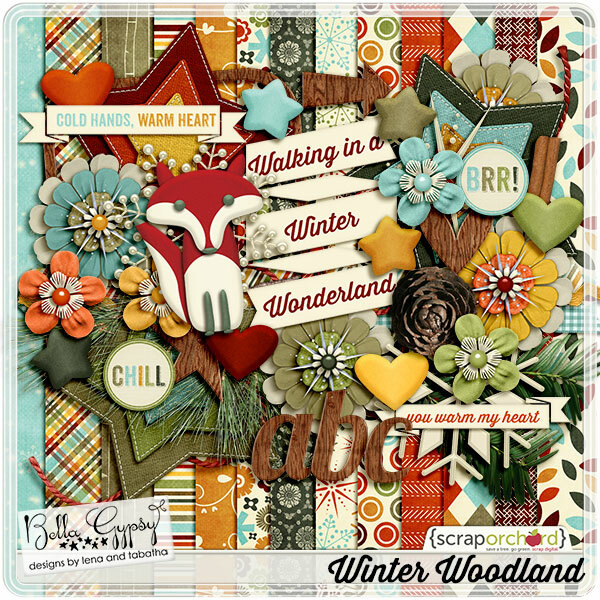 Winter Woodland Freebies & ONE DAY 50% Off Sale! Here is the blog portion of the freebie! Click the image to download! Pick up the elements on our Facebook fan page under the Advent Freebie tab. Pick up additional pieces from Scrap Orchard’s newsletter. If you missed it, you can download it here. These freebie downloads are good for December 5, 2013 ONLY! Be sure to shop our sale. 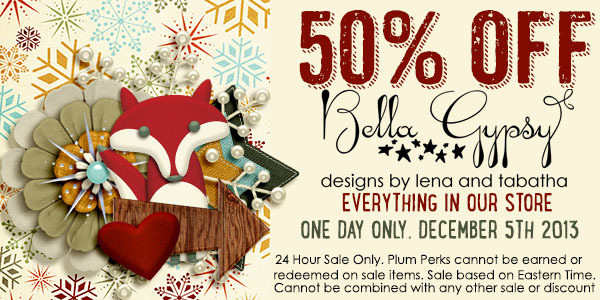 It’s the only day of the year when you can shop our entire store half off! 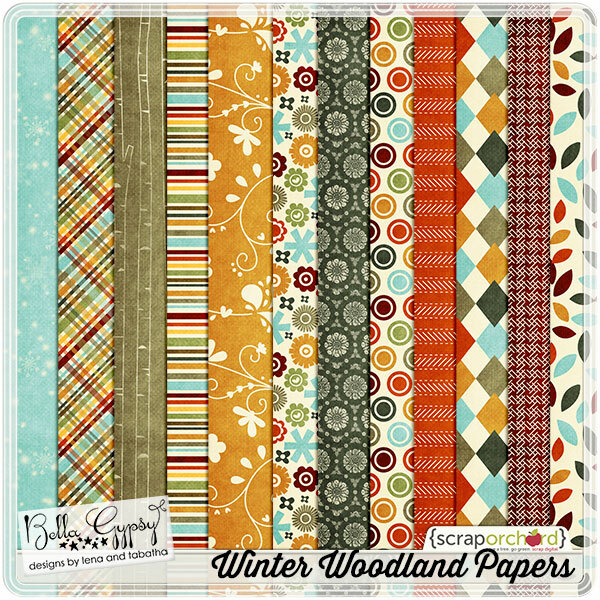 We have four new releases and a large catalog of beautiful digital scrapbook inventory! You can see all of our new releases HERE in our most recent newsletter! Awwww, that little fox is so cute! Thanks for the adorable freebie! Thank you so much and Happy Holidays !!! This is so cute! Thank you very much! Thank you for the new goodies, can’t wait for the NL and FB is not working right now. I will check that one later. Is it your ISP or your browser? I used to have trouble with Firefox, and I had to copy and paste the link to a new window. Thanks so much, A Merry Christmas! Oh I love it – thank you!!! The fox is to die for!!! Thank you so much – it is a wonderful kit! So cute! Thank you very much!!! Thank you for the wonderful gifts 🙂 Have a wonderful Holiday! Thanks for the kit! The fox is adorable! Thanks so much and a wonderful holiday season to you all ! un gros gros merci ))) très mignon !! Thanks! this is so gorgeous! Thank you very much for these beautiful gifts, girls! I hope you both, and your families, have a fantastic Christmas and Prosperous New Year! What a great kit!! Rather another great freebie kit. You guys are so generous! I love the fox (What does the fox say?). Thank you for these lovely papers and elements – Just lovely! Happy Holidays ladies!!! What a beautiful gift! Thank you and Merry Christmas!